Dr. Sushil Patel grew up in London England, where he attended the prestigious Kings College School, and went on to study dentistry at the University of Glasgow, Dental School, graduating with a Bachelor of Dental Surgery in 1990. Following graduation, he continued to practice dentistry in the south of England, where he gained valuable clinical experience in cases involving full mouth aesthetics and rehabilitation, through various hospital attachments as well as private practice. He was responsible in all aspects of the practice to ensure he delivered the best possible service and care to his patients. In early 2001, Dr. Patel moved to Michigan with his family and attended the University Of Detroit Mercy School Of Dentistry, where he gained his Doctor of Dental Surgery Degree in 2004. He continued to work in private practice until 2009 when he attained his Florida License and moved with his family to Lake Mary in search of sunny and a warmer climate. 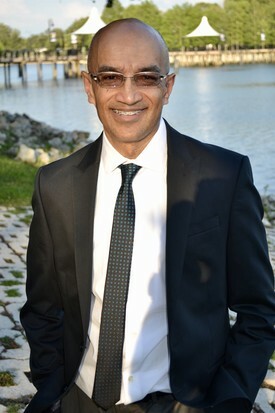 Since 2009, Dr. Patel established himself in Maitland as a General Practitioner. Over the past 25 years of practicing dentistry in England and United States, Dr. Patel prides himself in recognizing each patient’s specific needs, by making them feel relaxed and comfortable in the dental chair. Patients place a great deal of trust in Dr. Patel and his team, who continue to deliver exceptional dentistry with every visit. In 2008, Dr. Patel completed the Ultradent Elite Seminar Course after which he under took the Advanced Dental Study program at the Dawson Academy which focused on learning the principles and skills necessary for the successful practice of comprehensive, quality dentistry, with concentrations in occlusion, temporomandibular joints (TMJ) and comprehensive esthetic restorative dentistry. The Dawson Academy is considered one of the top advanced dental centers in the world for dentist committed to providing patients with comprehensive dental care. In 2014 and 2015, he attended and completed course in Minimal Oral Sedation, Oral surgery for the GP and the Implant Continuum. The continuing education enables Dr. Patel to not only keep up on the latest techniques but also allow him to choose lifelong dental treatments which are in his patients’ best interest. Each year, Dr. Patel participates in giving back to the community through voluntary programs such as Dentistry from the Heart and Dental Care Access Foundation. He is also affiliated with the American Dental Association, Florida Dental Association Dental Society of Great Orlando and the International Dental Implant Association. Dr. Patel is a devoted family man and loves to spend time with his two children who soon will both be off to college to purse their own goals and dreams. He attributes his success in life and the field of dentistry to his wife who has supported him throughout his career. In his downtime, Dr. Patel enjoys watching movies, reading and supporting his favorite premiership soccer team.